This report explores sacroiliac laxity and puts many facts in perspective for readers to understand. This article serves as an additional source of information from our essay covering SI hypermobility. The sacroiliac is a joint that is highly regulated in its ability to move by various incredibly strong ligaments. The joint surfaces typically only move against one another in small amounts and are therefore not subjected to the types of degeneration found in far more mobile joints, like those of the knee, shoulder and spine. When something causes the SI joint to become lax, it will move more than is usual or expected. While this does not seem inherently bad, this excessive mobility can create functional problems for the patient. Remember that the SI joint ties the leg into the vertebral column and is subjected to constant and very significant force. In order to mitigate this stress, the sacroiliac features a very tight design that is made primarily for structural stability under duress. The joint is not engineered for a large range of motion, as flexibility compromises structural strength. When the joint moves excessively, there is weakness in the structure that can be easily exploited by motion, weight bearing or other stresses. This is why hypermobility can become a real issue for some patients. Being that hypermobility is deemed to be the problem causing joint pain and instability, it is natural to pursue interventions that will tighten the joint and lead to symptomatic resolution. Treatments that can change the joint structure to decrease movement, increase stability and end pain are called curative modalities of care. Treatments that simply relieve pain, but do nothing to address the underlying reason for pain (hypermobility) are called symptomatic modalities of care. Curative treatment is always considered the best course of action for any type of injury, disease or pain issue. It is always optimal to resolve the cause of sacroiliac pain and allow the symptoms to end naturally, compared to continuously treating pain like it were a separate entity and allowing the source to persist. This is logical and easily understood when explained, but many patients do not keep this important truth in mind when selecting treatment for their SI joint symptoms. Throughout this website, we differentiate between curative and symptom-targeting methods so that patients are better informed to make quality decisions when it comes to choosing the best therapies for their needs. In essence, if you want the pain to end, instead of just feeling somewhat better for a temporary duration, then curative care is what you require. 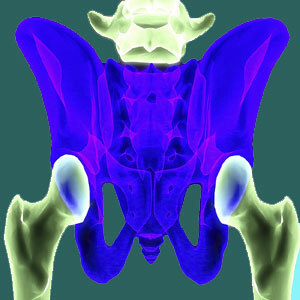 Curing sacroiliac joint laxity is dependent on achieving a correct diagnosis. The idea that excessive movement is the source of pain must be correct in order to treat it successfully. Fortunately, hypermobility is one of the least controversial mechanisms for pain in the joint, so most patients are lucky enough to get this part right. However, misdiagnosis does happen and can affect about 10% to 20% of patients with laxity diagnoses. Given that the diagnosis is sound, curative treatment must address the hypermobility in order to be considered effective. The best modalities for this objective include both surgical and nonsurgical therapeutic interventions. 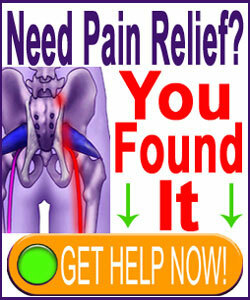 It is always best to exhaust conservative means of care before even considering any type of sacroiliac surgery. This is particularly true for hypermobility, since if conservative care does not resolve the problem, there is a good chance that laxity is not the real issue at all. This is why subsequent surgery often fails in circumstances where indicated conservative measures are first unsuccessful. The best nonsurgical paths of curative treatment include exercises and stretches that will firm up the ligaments and muscles in the joint region, prolotherapy and pharmaceutical injections designed to tighten the joint. If these approaches fail, surgery can be performed on the ligaments in order to tighten them and stabilize the joint. Alternately, the entire joint can be fused surgically, which is more common, but also a more invasive and risky procedure.